Audio Media is one of the oldest special magazine publishers in Denmark. Audio Media is one of the oldest special magazine publishers in Denmark. We focus on the thing we do best – communicating information about technology and lifestyle products in an accessible way to many hundred thousand readers. We publish our own magazines, produce client magazines and deliver SEO optimized texts to several websites. We can engage the readers on any media, both print as well as online. Audio Media is owned and managed by Klaus Nordfeld in close collaboration with Director Klaus Wiedemann. The company currently has 15 employees and is located at Sejrøgade in Copenhagen. Audio Media emphasizes that employees cooperate and function as a whole and the company strives to be a working environment where rigid organizational beliefs do not exist. Cooperation and mutual respect are keywords. The departments include the editorial staff for Alt om DATA, Datatid TechLife, TECH & TREND, the client magazines and the daily newsletter IT UPDATE, management, sale, production, administration and accounting. In addition to the permanent staff, each magazine is associated with a wide range of permanent freelance writers, who are delivering articles to us every month. Audio Media was originally called Forlaget Audio, when Klaus Nordfeld started the company in 1971. For many years, the Hi-Fi magazine High Fidelity was the flagship of the company but later on other well-known publications like HiFi Årbogen and Ny Elektronik were added. It was the latter which in the early 80s introduced a special section in the magazine. The section was focusing on computers and was named Alt om DATA. The rest is history. If you want to take a look at an early version of Alt om DATA, you can – thanks to Carsten Jensen, Børge Larsen and Mikkel Jensen – read it online by clicking on the front page of the magazine. 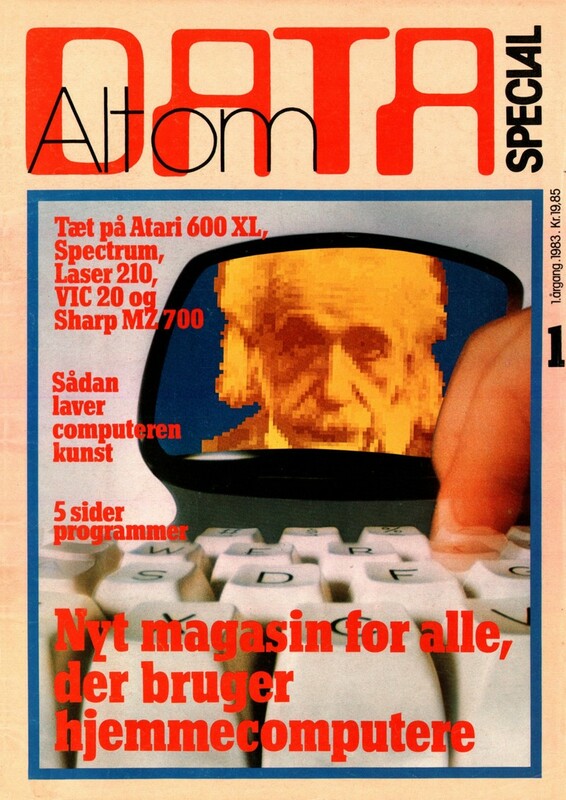 In 1983, Alt om DATA became an independent magazine, which today is more than 30 years old and still has status as Denmark’s leading IT magazine. In 1985 Privat Computer was added to the line of magazines. At the time, the magazine was called COMputer and was a Commodore-related magazine. After several years with focus on, among others Amiga, the magazine moved its focus area to the PC and was renamed Privat Computer. In early 2006, the magazine merged with Alt om DATA, which was relaunched. In 1997, the publisher sold High Fidelity to the two editors. At the same time the work began building websites to meet the growing interest in the new media. The IT portal ITsvar.dk was created along with independent sites for all the magazines. In March 2000 Audio Media A/S took over the rights to publish the well-known monthly magazine Datatid. The magazine, which is now called Datatid TechLife, is every month providing thorough reviews of PCs, smart TVs, audio systems, mobile devices and other exciting tech products. The magazine is packed with tips and tricks that gives the reader even bigger knowledge and the magazine could in 2014 celebrate its 30th anniversary. In 2006, a new and rapidly expanding business was established – client publishing to both print and online. Audio Medias clients include Atea, Canal Digital, Dong Energy, Tech Data, Also, Microsoft, Fona, Wupti and Elgiganten. The Quality Magazine was launched in 2008 and was a tech magazine, which in an inspiring and informative way told about all the exciting new gadgets spiced with the latest movie and music titles. The magazine closed in 2016 when Fona closed. Audio Media are producing free magazines for Elgigantens supermarkets / hypermarkets. Rbot.dk was launched in early June 2018 and is the first media focused exclusively on delivering news about a new disruptive development that is changing Denmark and the rest of the world. This accelerated development driven by IT technology will create profound changes in Danish society and in Denmark’s leisure and working life. Robotization, industry 4.0, artificial intelligence, automation and digitization are some of the concepts associated with the upheaval. Rbot.dk is an online media that will provide daily news about the concrete events and consequences of this development. The news is delivered on the web, mobile and in newsletters.